Chart 4 presents average non-farm payroll employment growth from 1970-2000. 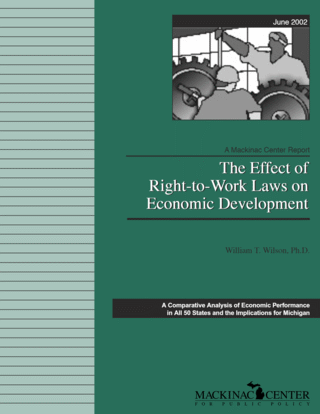 Right-to-work states averaged almost 1 percent faster annual growth. Although this difference dissipated temporarily during the 1980s, it widened significantly during the 1990s (see Table II, Appendix I). At 1.5 percent, Michigan's employment growth averaged only half that of RTW states, placing it 41st in employment growth over this period (surpassed by every RTW state). Michigan's relative ranking barely improved during the 1990s, placing it in 35th place, again trailing all 21 RTW states.